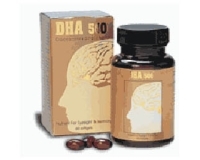 DHA 500 softgels contains DocosaHexanoic Acid (DHA), an Omega-3 long chain poly-unsaturated fat. DHA is the primary building block and the most abundant form of essential fatty acid in the brain and the retina of the eye. Its main function is to facilitate the transmission of neural information in the brain and maintain visual acuity. 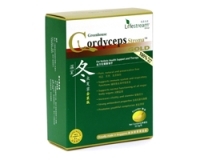 It is widely used in Japan and USA as a nutritional supplement in fast growing children. It is derived from the highest quality, pure deep sea fish oil from Sweden and is easily absorbed.